View the full NASCAR penalty report below. Clint Bowyer drove the SHR No. 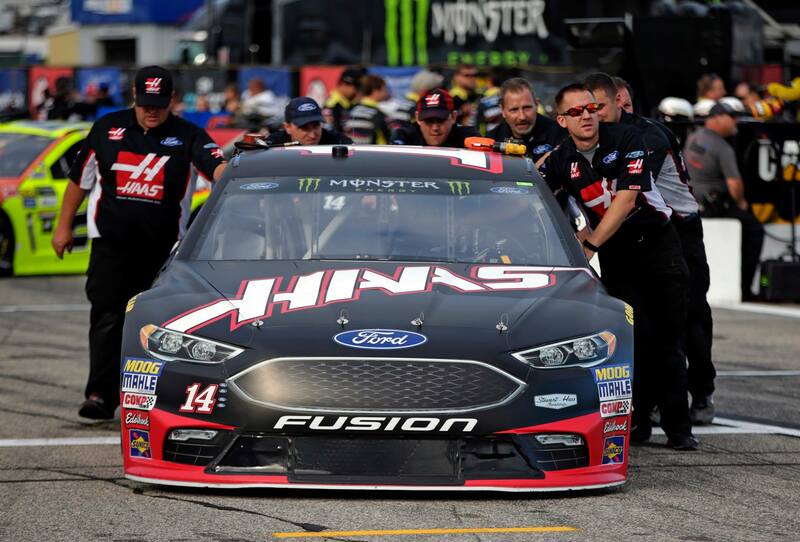 14 Ford to a seventh-place finish Sunday at New Hampshire Motor Speedway, but competition officials discovered one unsecured lug nut in a post-race check. NASCAR assessed crew chief Mike Bugarewicz a $10,000 fine for the violation. In the XFINITY race from Kentucky Speedway, the Richard Childress Racing No. 2 Chevrolet failed to make the minimum rear-body ride height requirement. The car was driven to an 11th-place finish by Ben Kennedy. The finish is ruled encumbered. Crew chief Randall Burnett was suspended from the next XFINITY Series points race and fined $10,000. The team was tagged with a 10-point deduction in the team owner standings, as well as a 10-point deduction in the driver standings. In the Truck Series, the Kyle Busch Motorsports No. 51 Toyota was found with an improperly sealed rear brake cooling assembly after Todd Gilliland drove to a career-best third-place finish at New Hampshire. The finish is ruled encumbered. NASCAR officials suspended crew chief Kevin “Bono” Manion from the next Camping World Truck Series points race and fined him $5,000. The team also was handed a 10-point penalty in the team owner standings and a 10-point penalty in the driver standings.